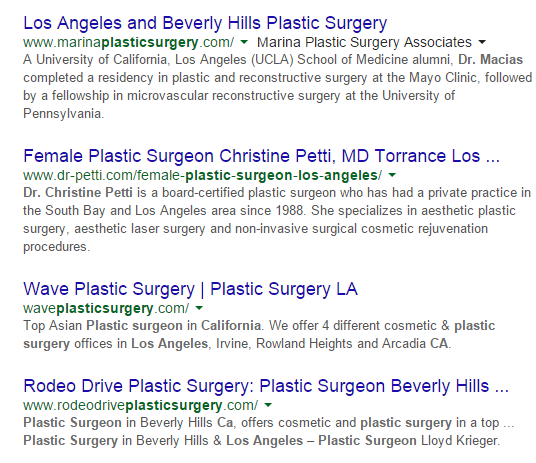 I picked a Google search everyone knows is probably competitive; Los Angeles plastic surgeon. The first four results in the organic section were what you see above. Notice anything about their URLs? If you don’t notice, here it goes; all have relevant keywords or phrases in them. ‘Female-plastic-surgeon-los-angeles’ on the second results, if that isn’t URL tagging for SEO who knows what is, and guess what? It’s clearly helping them! Google even bolded them so the searcher can see. It’s pretty obvious Google cares about URL tags. Now, the important question is where do you draw the line? How much is too much? Here’s the short answer; we don’t know. There’s a line in the sand somewhere when it comes to URL tagging. The problem is you’re probably not going to ever see where that is unless you get super close to the powers at be in Google headquarters (let me know how that works out for you). You can however, play it relatively safe. 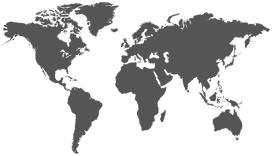 Let’s take a common website page for instance, ‘About Us’. Most business, cause, art or opinion websites have an ‘About Us’ section. Should you change the URL to that page so it completely ignores what the page is about? Probably not, but who says you can’t have a little fun with it; ‘About Our Los Angeles Plastic Surgeons’. Notice I am still allowing the URL to keep its original face? Notice it won’t appear that I’m blatantly just doing this to manipulate search engines? There’s no reason to compromise organization, look and feel factors of your website just to get ranked. It’s important to understand it may even come off as ‘unprofessional’ or ‘tacky’ to a visitor who knows what you’re doing. Brackets, underscores, no spaces, spaces? Which one do I choose. Not only does it look better, but the search engines are clearly showing a preference as to which they prefer.